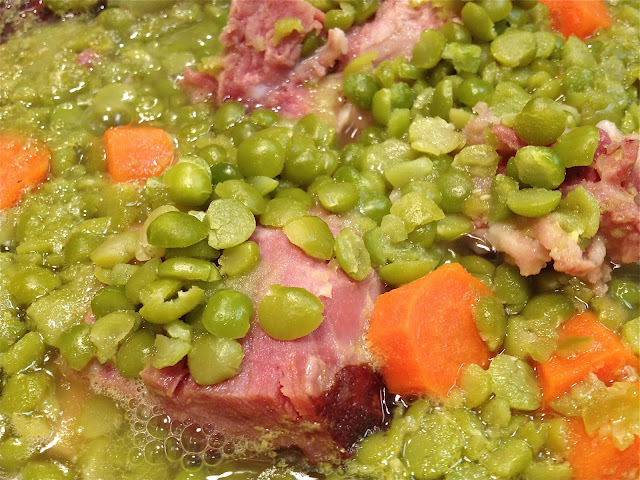 Soak split peas over night or at least for 2-3 hours. 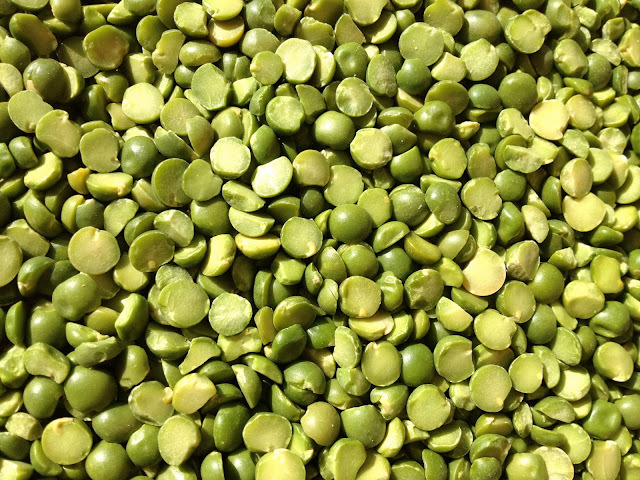 Raise split peas. 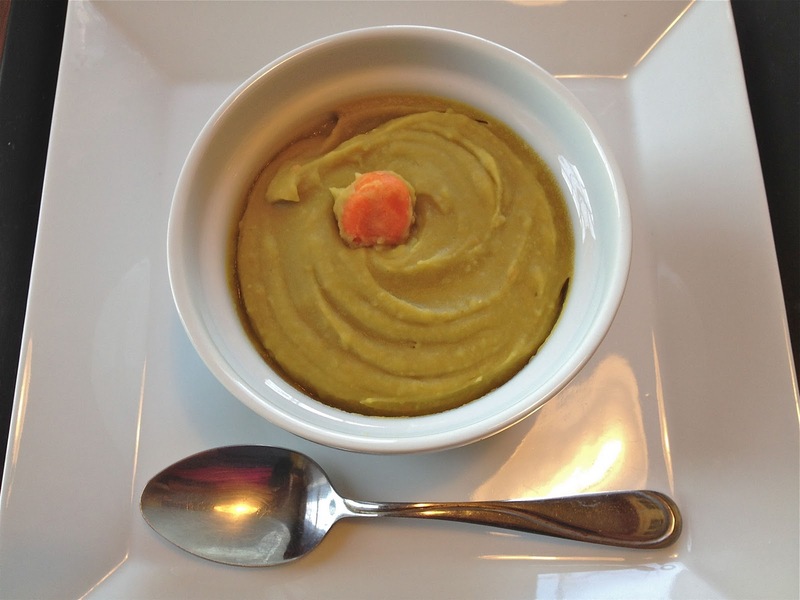 Combine split peas, water, onion, carrots, butter, salt, and pepper in a large pot. Heat to a rapid boil for 30 minutes. 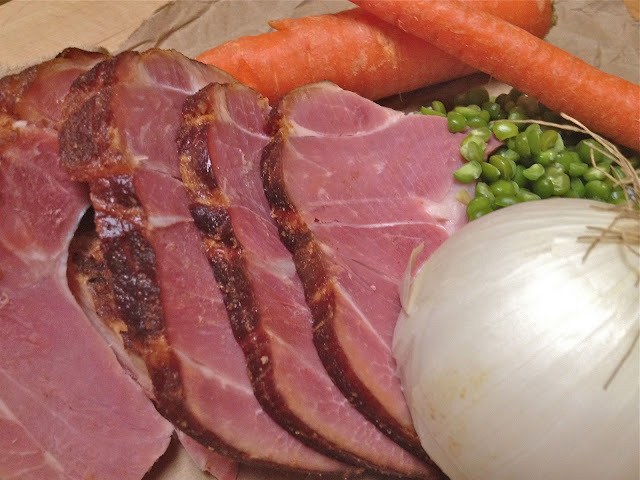 Add ham. Reduce heat to a slimmer for an additional 30 minutes. Stir occasionally. Puree soup and serve.